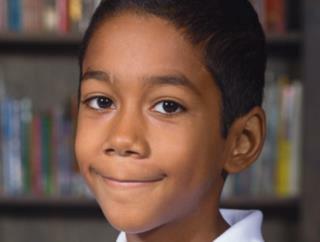 (Newser) – Ten-year-old Jesse Wilson may have slipped out of his bedroom window sometime after 9:30pm Sunday. It wouldn't be the first time. "My son has either gone out the window, which he has done before," mom Crystal Wilson told Arizona dispatchers when she found his bed empty early Monday morning, per ABC15. "Or gone out the back door." Neighbors say they occasionally saw Jesse walking around Buckeye late at night—but no one has seen him for four days and he's never been gone so long. "No one is mad at you … I just miss your loving, caring, sweet ways," Wilson tearfully pleaded into a TV camera Thursday after police and volunteers searched nearby desert and parks to no avail, per the Arizona Republic. "Your sister and your brother love you so much. I love you so much," she added, per KPHO. Quite a mystery. The story says there could have been foul play. I hope it will be proved not so and that the kid had ADHD. That sounds like a reasonable suspicion. Let me guess. Is there a boyfriend or stepfather in the home?